I’m all for a play on words in retail advertising. I smile or laugh when I “get it.” But I saw this one recently in my travels and had an issue with it. Why is there a comma after “biscuitier”? 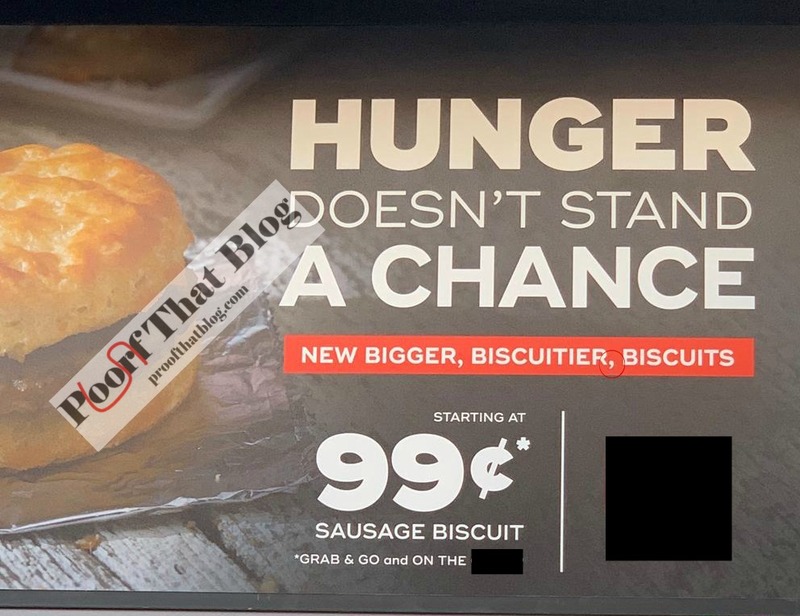 You can say “bigger and biscuitier” but would you really say “bigger and biscuitier and biscuit”? I think the comma between “bigger” and “biscuitier” is enough. The Oakhurst Dairy drivers who brought the case had asked for $10 million. Court documents filed last week indicate the case was settled for $5 million. All for the want of a comma . . . 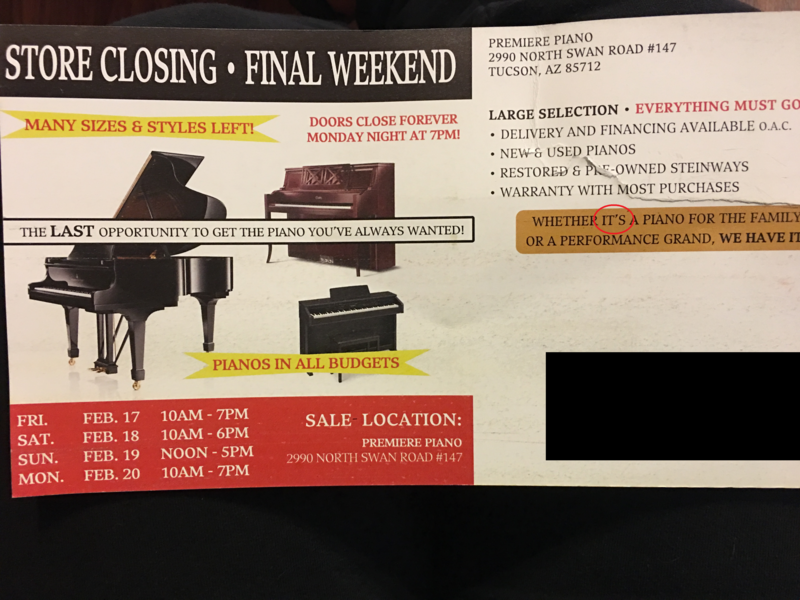 I pulled this out of my mailbox this weekend and noticed three errors before I even got back to my house. When the part of an advertisement intended to catch your eye has a glaring error, it really makes the company look bad. 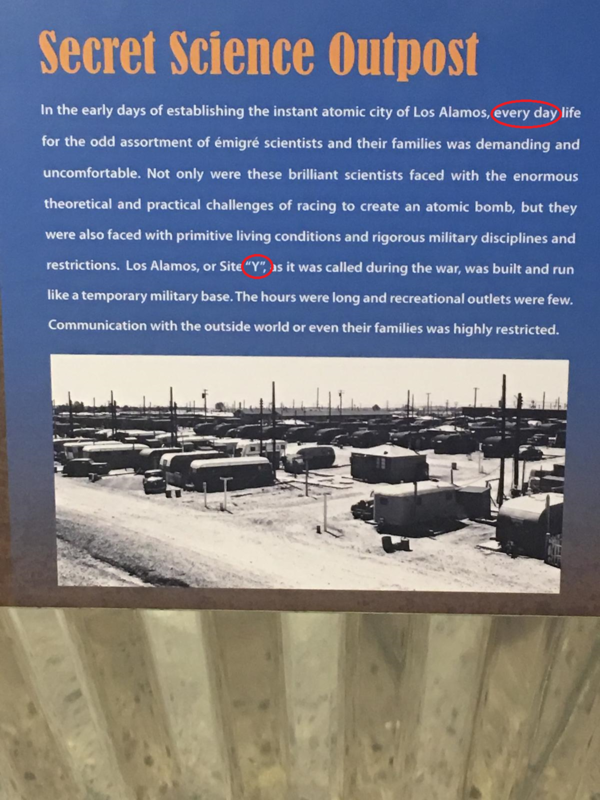 While they were consistent with their mistake, there was another anonymous placement of a comma. Something that I see a lot in my daily proofreading is a comma before and. Apparently, the lessons in elementary school on serial commas or using commas in compound sentences have morphed into ALWAYS using a comma before the word and. Here are the tricks I use to help figure this out. First, sometimes a compound sentence (which is a sentence of two independent clauses joined by a conjunction) is confused with a simple sentence with a compound predicate (the part of the sentence telling what the subject does or what is done to the subject or the subject’s state of being). Jamie was a paralegal and she was highly skilled in trial graphics. She was highly skilled in trial graphics. Those are two independent sentences, so a comma is needed before the and when you make it a compound sentence. Jamie was a paralegal, and she was highly skilled in trial graphics. Jamie was a paralegal and was highly skilled in trial graphics. Was highly skilled in trial graphics. so it is not two independent clauses. When you are confused about whether they are independent clauses or not, read each part on either side of the and as if it were a separate sentence. 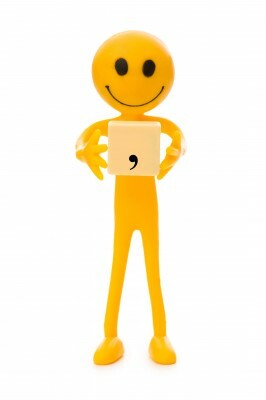 If it is a complete sentence, then put the comma before the and. 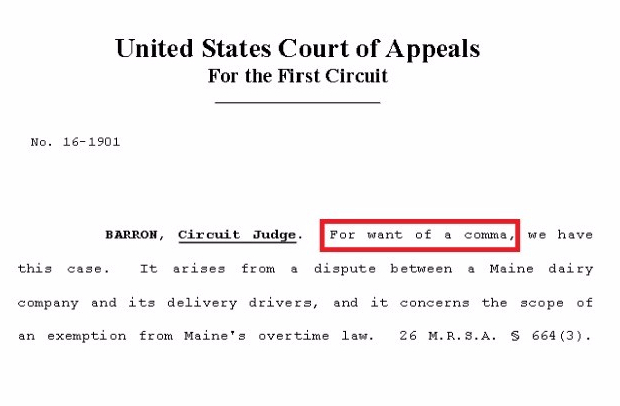 If the two clauses do not make sense as an independent sentence, then there is no comma before the and. Here are some more examples to help you see this concept. He needed to go to the grocery store, and he was going to meet James for lunch. He needed to go to the grocery store. He was going to meet James for lunch. YES – NEEDS A COMMA. He needed to go to the grocery store and was going to meet James for lunch. Was going to meet James for lunch. NO – NO COMMA NEEDED. The corporation filed its annual report with the Corporation Commission, and it paid the required fee. The corporation filed its annual report with the Corporation Commission. It paid the required fee. The corporation filed its annual report with the Corporation Commission and paid the required fee. I hope this helps with some of the constant “comma drama” that you may find yourself in daily. Email proofthatblog@gmail.com if you have any other “drama” that you would like to see as a topic of a future Proof That proofreading blog post. 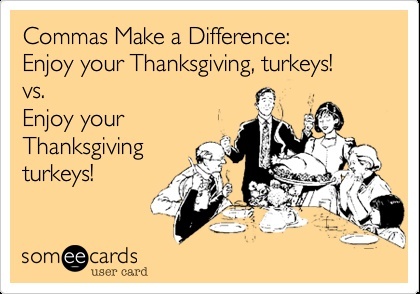 Grammar Giggle – Happy Thanksgiving (and Commas)! Comments Off on Grammar Giggle – Happy Thanksgiving (and Commas)! Among my many blessings, I count each of you who continue to read this blog, send me pictures, and post things you find on Facebook on my wall. The decision I agonized over a couple of years ago about whether to start the blog was definitely the right one. I truly do appreciate your support! Happy Thanksgiving! When the name is on a line all by itself, use only one comma between the name and the designation. When there is language following the name, use a comma before and after the designation. John Jones, Jr., is my son’s best friend. When the name is possessive, drop the second comma after the designation. John Jones, Sr.’s car is being repossessed. When the name is followed by a stronger punctuation mark–such as an opening parenthesis, a semicolon, or a dash. When the name is inverted, for example in a list in alphabetical order by last name, set off the designation with commas. 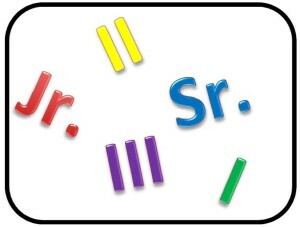 When preparing a letter from someone using the Jr., Sr., I, II, or III designation, you do not need to use the designation in the reference initials unless you need it to distinguish this person from another person in the same organization. For instance, a letter I type for Henry R. Miller, Jr. at Miller and Miller Law, P.C., a firm where his father also works, would show the reference initials hrmjr/kas. Remember that these rules are in instances where the person prefers a comma before their generational designation. In cases where they do not prefer a comma, all of this information is unnecessary, but hopefully at least interesting. Dates seem to be confusing for some people. When you use a complete date (month, day, and year), you should use a comma before AND after the year. On November 11, 2013, the Veterans’ Day parade will start at 10 a.m., but I will be at work. Please send me your time entries for November 1 to December 31, 2012, so I can prepare the fee application. Of course, there are exceptions. For instance, if other punctuation is necessary after the year, you would omit the comma immediately after the year. On November 11, 2013 (the federal Veterans’ Day holiday), I will miss the parade because I am working. Also, if the date is in the day, month, year style (13 November 2013), there are no commas unless the sentence requires a comma for another reason. Where a comma after the year might lead to some confusion, use a semicolon. Our office will be closed on November 27, 28, and 29, 2013; December 23, 24, and 25, 2013; and January 1, 2, and 3, 2014. 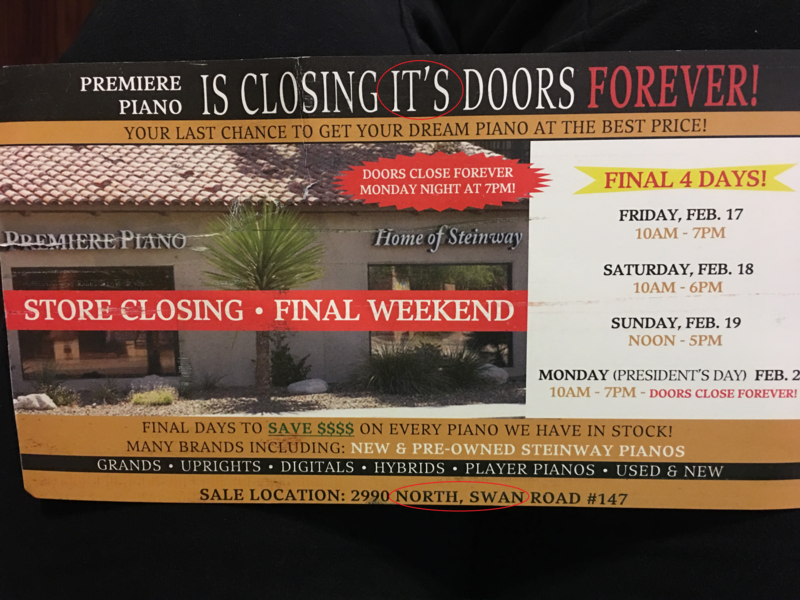 Note that my office will NOT be closed on all of those days. Unfortunately, it is for illustrative purposes only and I will be hard at work on most of those days. Where you are using just the month and year, there are no commas unless the sentence needs it for another reason. The September 2013 totals show a rise in sales. Don’t be afraid of commas with dates, just learn to use them correctly. 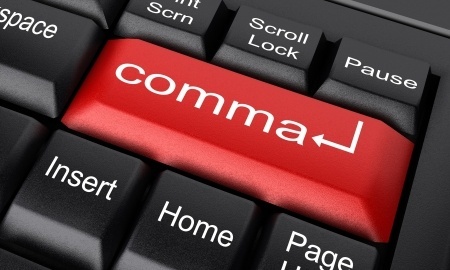 Nonessential Phrases, and Subsequently, Commas Setting Them Off Are Often Misused. Comments Off on Nonessential Phrases, and Subsequently, Commas Setting Them Off Are Often Misused. The information is collected and analyzed and will be used to develop resources to strengthen other departments, and ultimately, our ability to work as a cohesive team. The information is collected and analyzed and will be used to develop resources to strengthen other departments our ability to work as a cohesive team. The information is collected and analyzed and will be used to develop resources to strengthen other departments and our ability to work as a cohesive team. 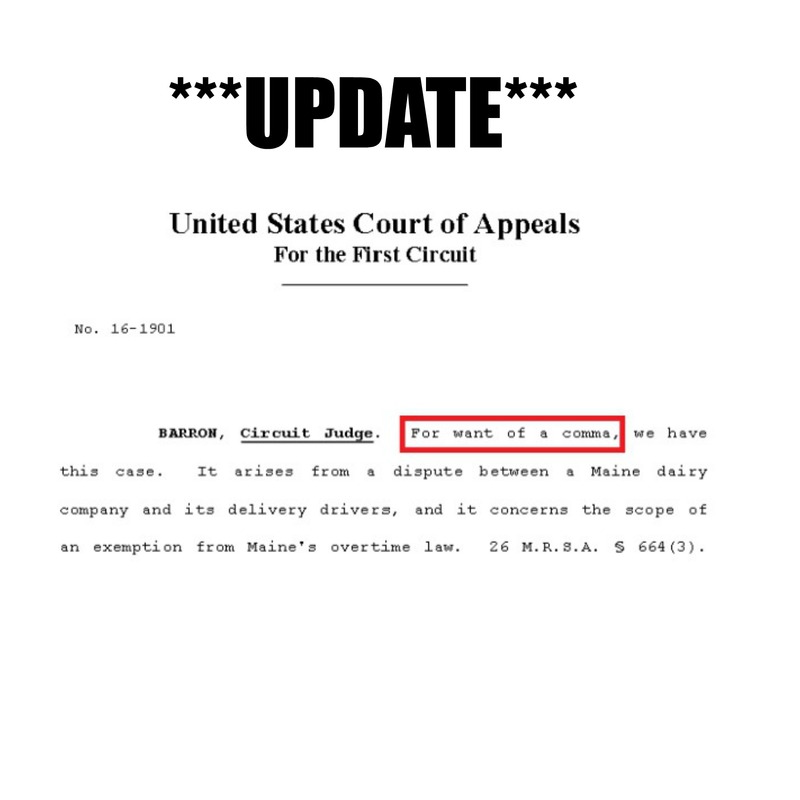 Thus, the commas should be around the word “ultimately” ONLY.
. . . defend and indemnify XYZ Corporation in the Litigation and/or settle the Litigation on XYZ Corporation’s behalf, and if so, whether ABC Corporation breached that contract.
. . . defend and indemnify XYZ Corporation in the Litigation and/or settle the Litigation on XYZ Corporation’s behalf whether ABC Corporation breached that contract.
. . . defend and indemnify XYZ Corporation in the Litigation and/or settle the Litigation on XYZ Corporation’s behalf and whether ABC Corporation breached that contract.
. . . defend and indemnify XYZ Corporation in the Litigation and/or settle the Litigation on XYZ Corporation’s behalf and, if so, whether ABC corporation breached that contract. The best check while proofreading is to read the sentence without the “nonessential” phrase to see if it is truly nonessential. That should be your clue as to whether commas are needed and, if so, where they should be correctly placed.